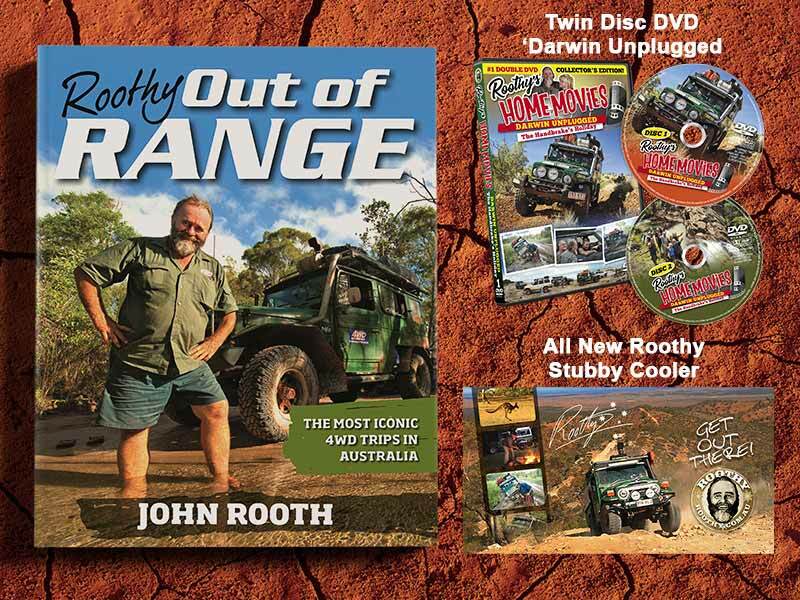 Roothy’s Out Of Range signed copy – 200 pages with seven iconic 4WD destinations. Twin Disc DVD ‘Darwin Unplugged’ – Milo and roothy kicking it up in the Northern Territory. Milo 2 Roothy Stubby Cooler – the latest version of the Roothy stubby cooler series. With this offer, you save up to 25% on the normal retail price of these items. More details on these products can be found in the product description below. Keep your vitals cool with all new Roothy’s Stubby Cooler. 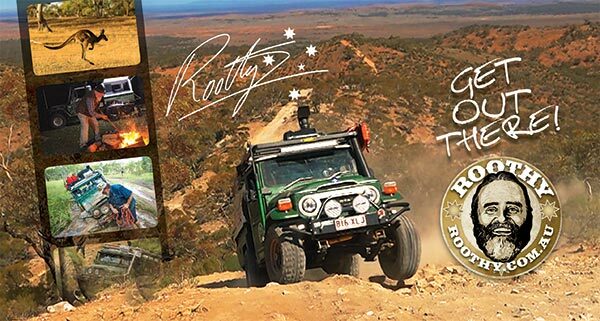 The cooler is fully wrapped with a great picture (shown below) of Roothy’s new truck Milo 2 in action in the Flinders Ranges, and the Roothy signature emblazoned with the Southern Cross. You can’t go wrong with this high quality neoprene stubby cooler with fully glued bottom.